English is currently most widely used language in the world, with over 1.8 billion speakers globally. It is the major language of business, technology, science, sport, and the internet. The chances of success in the workplace or academics enhance tremendously if the person is fluent in English. Being confident in English can give your child a great head start and early advantage in making the most of the qualification, education, and career opportunities. 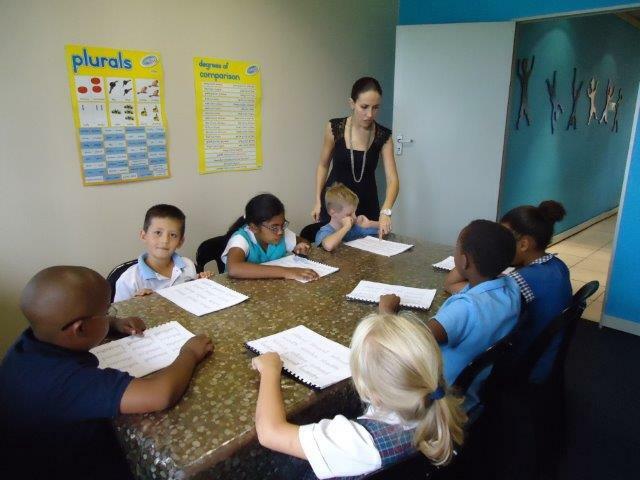 Our English Language classes are specifically designed around the unique demand of children and the way they learn. Our classes do not only consist of grammar rules, instead we encourage each kid to play, talk, and interact with each other in an enjoyable way. We work on their speaking skills, learning attributes, and writing abilities without pressurizing as if they are being taught. Vocabulary: Researched descriptions and usability of extensive range of words and idioms. Reading and Spelling: Fun exercises which will ensure fast and long-term learning. Grammar: Complete set of tenses are taught by professionals with every rule elaborating the usage of nouns, verbs, adverbs, etc. Pronunciation: Correct pronunciation by native speakers. Not every kid can learn English in a group setting, while some speak better in a crowd. Our professional teachers are capable of dealing with one to one and mass class instructions. Your child will get feedback and friendly responses to improve. Our classes are unrivaled and taught by innovative tools such as debates, role-plays, presentations, etc; we insist to provide a meaningful reason to learn English.